If you have a disability or health condition which impacts upon your studies, please contact the Inclusivity Team for further guidance. The Learning Support Team support students with specific learning differences such as dyslexia and dyspraxia. For more information, see the Health and Wellbeing homepage. They support this through personal appointments, workshops, webinars and online guides, all of which can be accessed through their website. MindView assistive technology software is also available on all PCS, with functionality including text-to-speech, Dragon integration, predictive text, and audio notes which help visual thinkers to create impressive written assignments and presentations. When borrowing laptops from the self-service machine on the 1st floor by the water fountains, there is an option to select laptops from the lower lockers only. First step is to approach your module tutor. You can do this by sending them a message using your Canvas inbox. Guidance on using your inbox can be found in this Canvas guide. Or you can use your preferred email client. Please give them time to respond accordingly. Secondly, you can raise the issue with your student hub team. These are located in each Faculty building. If you have a print impairment you may need books in an accessible format, usually electronic. You may find the Library’s ever increasing collection of eBooks useful. If eBooks are still not accessible to you, you may be eligible to use the Alternative Formats service. For more information, click here for the Sensus Access -Alternative formats service. Or for converting your documents, see Sensus Access - Convert your documents. 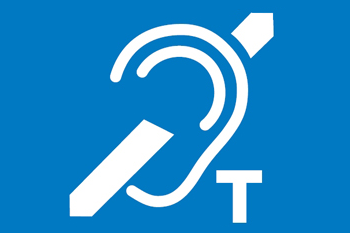 A hearing loop (sometimes called an audio induction loop) is a sound system for use by people with hearing aids. The hearing loop provides a magnetic, wireless signal that is picked up by the hearing aid when it is set to ‘T’ setting. Skills and Teaching Rooms in the library with hearing loops have signs placed on the doors to highlight this. The Welcome Desk also has a hearing loop always switched on and ready for use. << Previous: Can't find it?